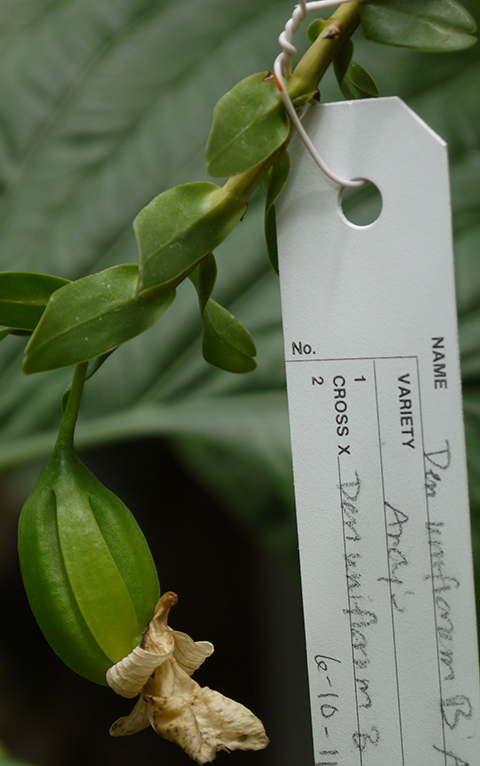 You may already be familiar with this cast of characters, but do you recognize them five months into gestation? 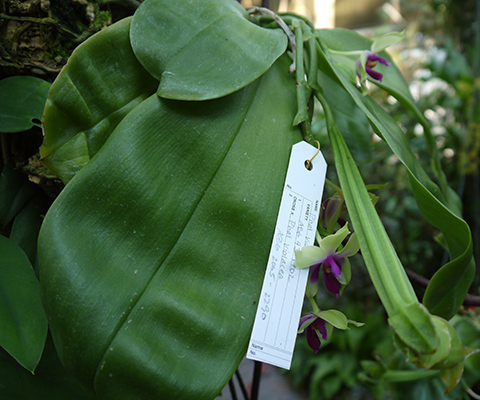 An orchid fruit or "pod" is more correctly called a capsule. 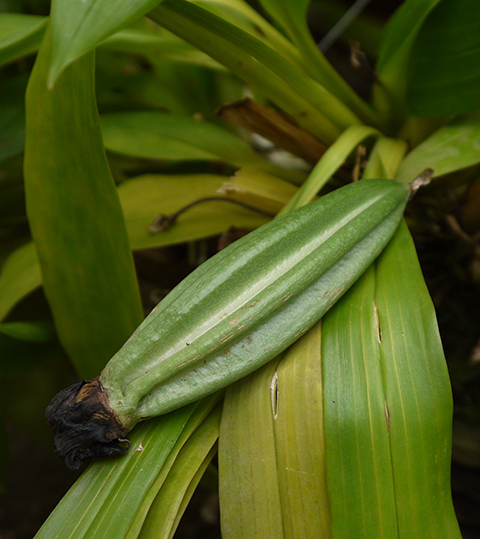 Notice the remains of the flower at the far end of the capsule. 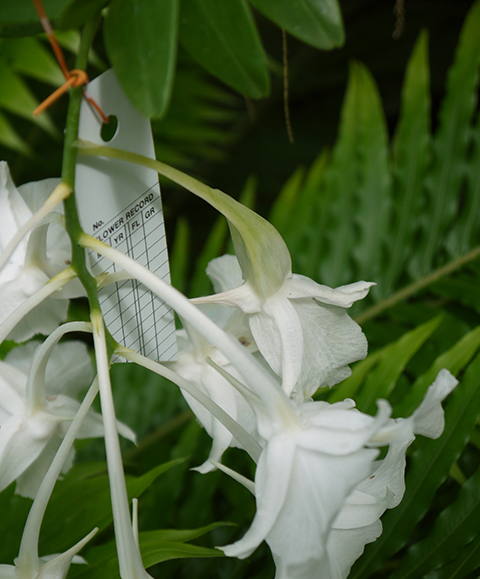 The information relevant to each cross is recorded in three locations: on a vinyl label, on a paper form and on an Excel spreadsheet accessible on our computer network. 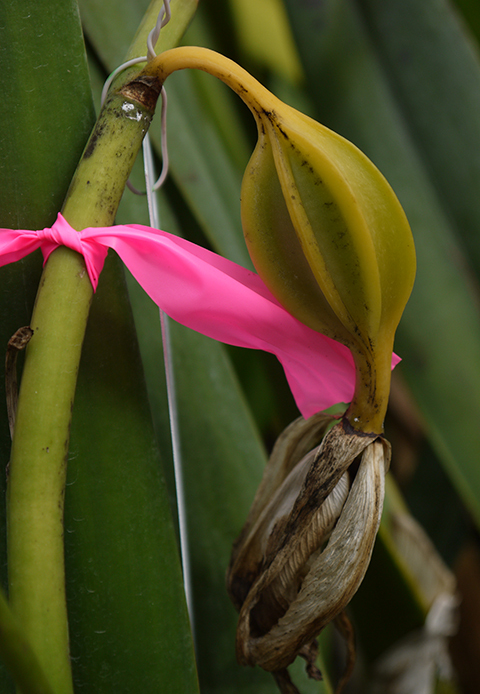 A piece of pink flagging tape helps us find the capsule among all the plants in our greenhouses. 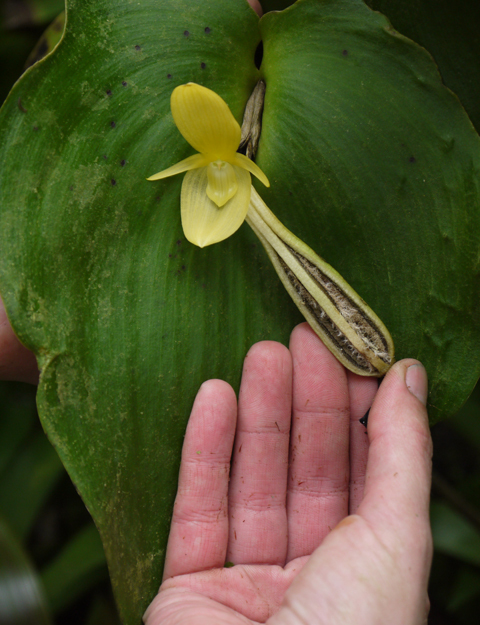 Compare the size of the swollen ovary of the pollinated flower to that of the adjacent flower. 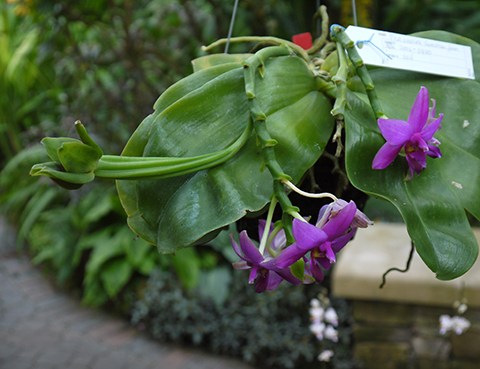 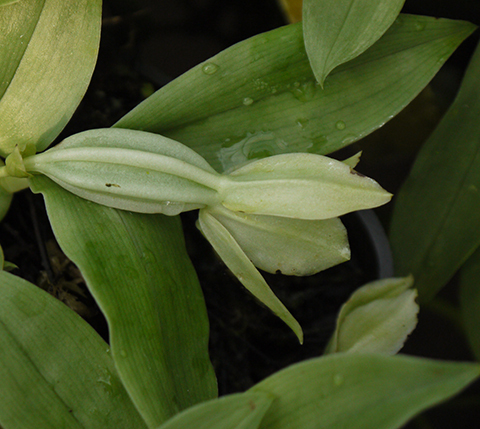 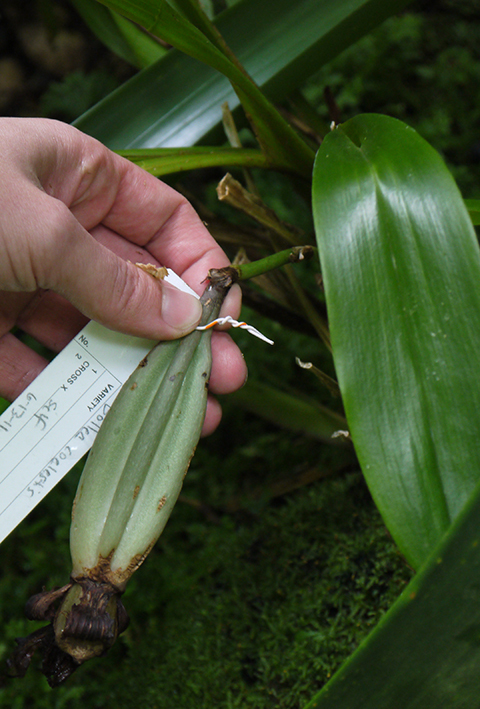 An orchid capsule can take anywhere from one to six months or more to ripen. 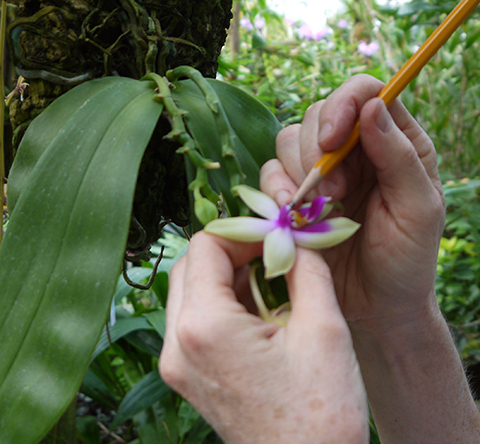 We look forward to seeing these orchids in our lab!